As I go deeper and deeper down the USB-C and ThunderBolt 3 rabbit-hole, I’m finding the opportunity to test gradually more elaborate products. With quite a few Thunderbolt 3 docks (by far my most anticipated of all the new shinies) on ice temporarily due to Thunderbolt’s “macOS certification” shenanigans, I figured I’d try a Dual DisplayPort Adapter first and test it with the Dell XPS 13, the Razer Blade and the new MacBook Pro. Since my laptop has a whole host of USB3 ports anyway, it’s actually a sensible solution for me! StarTech were happy to oblige, and sent their Thunderbolt 3 to Dual DisplayPort Adapter. Alongside the MacBook Pro, I tested StarTech’s adapter with the 2016 Dell XPS 13, which includes a single USB-C/Thunderbolt 3 port and runs Windows 10. I also tested with the Razer Blade 1060 (November 2016) which also includes a single USB-C/Thunderbolt 3 port and, surprise surprise, runs Windows 10. I haven’t attempted with Linux yet, or even looked into the possibility. That’s a test for another time, perhaps. 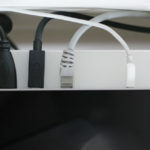 The major gripe with USB-C and Thunderbolt 3 at the moment is that having the port doesn’t necessarily mean everything with that shaped connector will work. 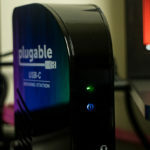 If you can’t get the manufacturer, or a trusted reviewer, to tell you a particular Thunderbolt 3 or USB-C peripheral is compatible with your particular computer then it may be a good idea to avoid it altogether; specially if it’s for connecting any type of display. My 2016 Razer Blade will only drive a single Thunderbolt 3 connected display, even with this dual adapter, and only solutions that split this single display feed (and apparently daisy-chaining Thunderbolt displays) will coax it into driving more. The Dell XPS 13, however, worked fantastically well. 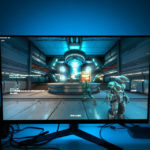 In all cases I tested with two Dell U2713HM displays running at 2560×1440 and connected using full-sized DisplayPort to DisplayPort cables. The mixed bag of support doesn’t kick Thunderbolt 3 off to a good start, but hopefully future products (both hosts and devices) will deliver a more consistent experience. 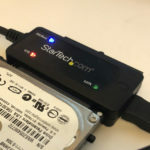 Note; the lack of compatibility is in no way a failing of the StarTech adapter itself, but rather a limitation of the computers it’s connected to. Some “standard”, eh? This measured approach from Windows laptops to include USB-C/Thunderbolt 3 alongside a complement of more established ports is great. It wont force USB-C adoption along in a hurry, but it’s a much less painful transition for users. On the downside, the solitary USB-C port means that you have to pick carefully what you’re going to hook up to it. You trade that one port for a set of features. I’d say that two displays running at up to 4K @ 60fps is a pretty great thing to expend that port on, and will set you back somewhat less than a full-blown dock. For comparison, StarTech’s own dock supports two displays with a single port, probably via daisy-chaining and costs £312. Belkin’s Dock has a similar feature set and will likely set you back between £200 and £300. And the OWC Thunderbolt 3 Dock, also coming soon, again has a similar feature set and price. That’s 2-3 times the price for extra ports and features that your computer might already sport, making a Dual DisplayPort adapter a pretty cost-effective compromise. StarTech seem to be on an extruded aluminium kick, and that’s great. Their USB-C card-reader and Dual DisplayPort adapter are built like battleships, but despite looking hefty, and actually being rather large, are surprisingly light. The metal construction is capped with front and back plastic face plates, recessed into the extruded aluminium shell where they wont get their corners dinged or damaged. Construction is solid, my tentative attempts to pry it open have failed. The three screws that secure the adapter are neatly hidden under wide, rubber feet that in an ideal situation will keep the adapter snug on your desk. In practise the thickness of DisplayPort cables, and the fact you need two of them, will almost always lift the StarTech adapter into the air. The lightness really doesn’t play to its advantage, and it could have used a significant weight inside to keep it in check. 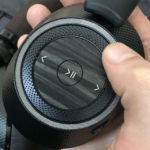 StarTech have made no attempt to add flair to the utilitarian design, it’s clearly designed for serious use by serious people doing serious work. Seriously! The large size is explained in part by the large DisplayPort connectors and by the sheer amount of space it takes to connect all the wires for USB-3. Unfortunately the Thunderbolt 3 cable is short, meaning it’s really difficult to tuck the adapter out of sight. It’s not extremely short, but it’s certainly not long enough to use your laptop trackpad/keyboard while hiding the main body of the adapter behind your monitors, or under your desk. A quick Google for “Thunderbolt 3 maximum cable lengths” reveals StarTech have an explanation for this in their own blog post Thunderbolt 3: The Basics. For a 40Gbps Thunderbolt 3 connection, the maximum passive cable length allowed is 0.5m. Passive means the cable is nothing but wires, with no circuitry at each end to amplify the signal. 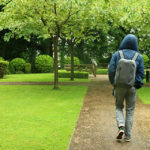 While longer cables may theoretically work, StarTech play it safe and stick to the standards as they rightfully should. What this really boils down to is that it’s a cost-saving. The Dual DisplayPort adapter is a mid-range display-out solution for Thunderbolt 3, and including an active cable, and fitting the adapter itself with a port, would have broken the price StarTech were targeting. A port and separate cable would also be prone to loss if you decided to tote this adapter around, but since it’s likely to become a permanent part of your desk setup I don’t think that’s such a big issue. If you really want to hide your connections away, and use an active, passive or even eventually a 60 meter optical Thunderbolt 3 cable, then you should be investing in a Thunderbolt 3 dock. The limitations of the specification, the desire to hit a headline 2x4K @ 60Hz, and the constraints of hitting a sensible price keep the cable on this adapter just a little too short. Having had to make compromises in my own product designs, I totally understand the rationale here. Granted, if I make this adapter part of my workstation setup I’ll just drill a hole on my desk and mount the adapter underneath. I’m not precious, I’ve already disassembled a network hub, drilled holes in it and screwed it to my desk 😉 For the less reckless and destructive, you could use a laptop plinth and hide the adapter underneath, or fashion yourself a fetching knitted cover designed to look like a whacky-waving-inflatable-arm-flailing-tubeman. Three words: absolutely no drivers. This ain’t your grand-daddy’s USB3 to DisplayLink adapter. Thunderbolt 3 is a standard designed to carry video signals amongst other things. This means that video output works just like you’re plugging in an HDMI cable. In theory, anyway. 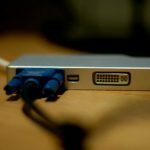 In practise, the security features of Thunderbolt 3 make the first attempt at plug-and-play just a little bit more complicated, but this is a tradeoff we should get used to in this increasingly security conscious world. Upon plugging the adapter into a Dell XPS 13 I was greeted with no signal, and sleepy monitors. After a little fiddling I realised I’d forgot to switch one of them from HDMI to DisplayPort, but that wasn’t the problem. 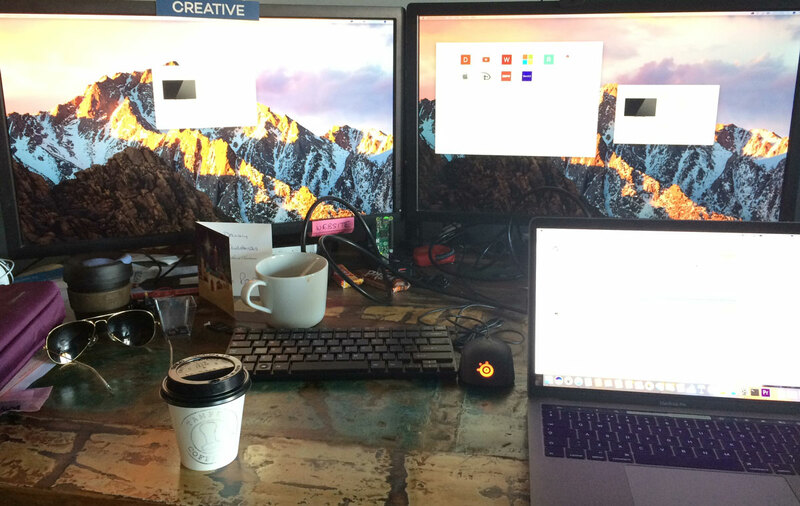 It wasn’t until I manually opened up the “Thunderbolt 3″ configuration utility (I thought it was supposed to launch automatically), by hitting the Windows key and searching for it, and approved the connection that the two 27″ displays I’d connected sprang to life. And, oh my, it was beautiful. I sit in front of these two displays for hours every day designing circuits and writing software, but the feeling of having them driven by a tiny 13” laptop, through an even tinier single port is genuinely quite remarkable. I was in nerd awe. It’s seeing something like this that reassures me that USB-C… or at least Thunderbolt 3, which is actually a totally different specification that happens to use the same port,… is the future. Or something like it, anyway. Despite a short connector, if you’re rocking something like the Dell XPS 13 (incidentally pictured in StarTech’s own product images) then this is a fantastic way to add a pair of productivity-enhancing displays to your shiny new laptop when you’re tied to your desk. When you’re ready to go out and about, you can pull out the power supply, and the single tiny Thunderbolt 3 cable and be on your way in moments. As I mentioned before it’ll only let you hook one display up to a Razer Blade, and compatibility with the TouchBar MacBook Pro was something more of an adventure, but using the TB3 Enabler hack I was able to get it up and running with a few reboots and some dubious tweaks to the system. I would adamantly recommend against you repeating this process, however, since it’s fragile, unsupported, undocumented and frankly reckless unless you absolutely know what you’re doing. The TouchBar MacBook Pro was also able to effortlessly bring two 2560×1440 displays to life, spreading its mountainous desktop vista before my eyes. Despite the disabled compatibility, the pictures were crisp and clear with no visible artefacts or problems of any kind. When the waves of MacBook Pro-compatible products start to crash down, those with Apple’s shiny new toy will have a dizzying choice of display options. 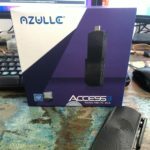 This entry was posted on Monday, January 16th, 2017 and is filed under Featured, Personal Computing, USB Type-C and Thunderbolt 3.